Being that this was our first stop on the new tour, we figured we’d start both small and local and test the waters. 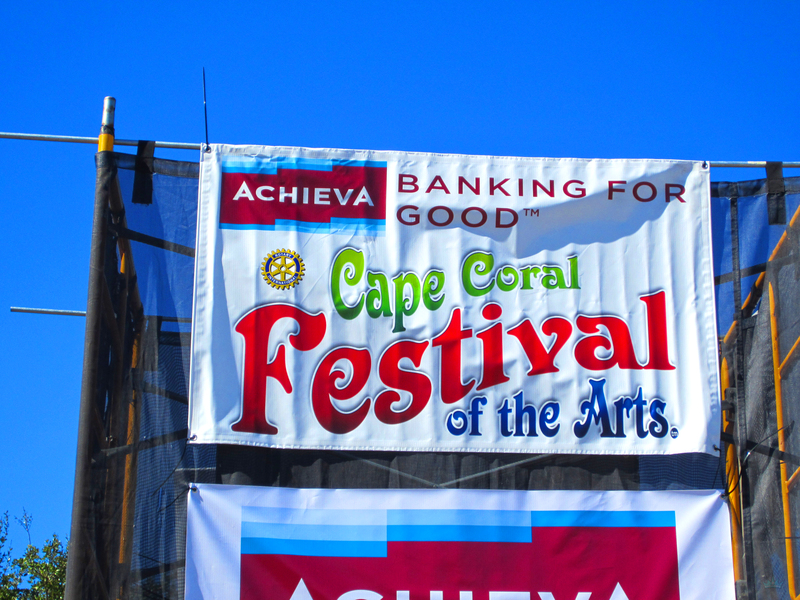 So our first stop this year is the Cape Coral Festival of the Arts, located in downtown Cape Coral. 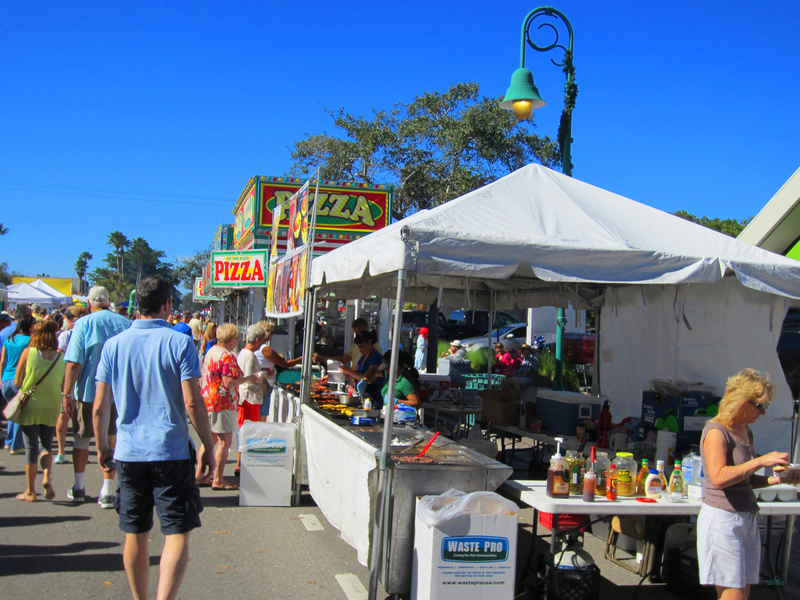 It’s an annual festival that began in 1985 and takes place on the second weekend in January. We started off our day at 3:20am, when I dragged the poor, sleepy Queen outta bed to head out for some pre-dawn shelling. Queenie likes her sleep, so I was a little worried that she would be uncomfortable out there in the dark all sleepy-like. But she was a regular pro and looked pretty good in her head lamp, too. Unfortunately, we didn’t come up with much (we need a good storm to pull up those buried shells), so we went back home and went back to bed. Sometimes you get the bear. Sometimes the bear gets you. Anyhow, this festival was pretty bumpin’, being it was so small and all. 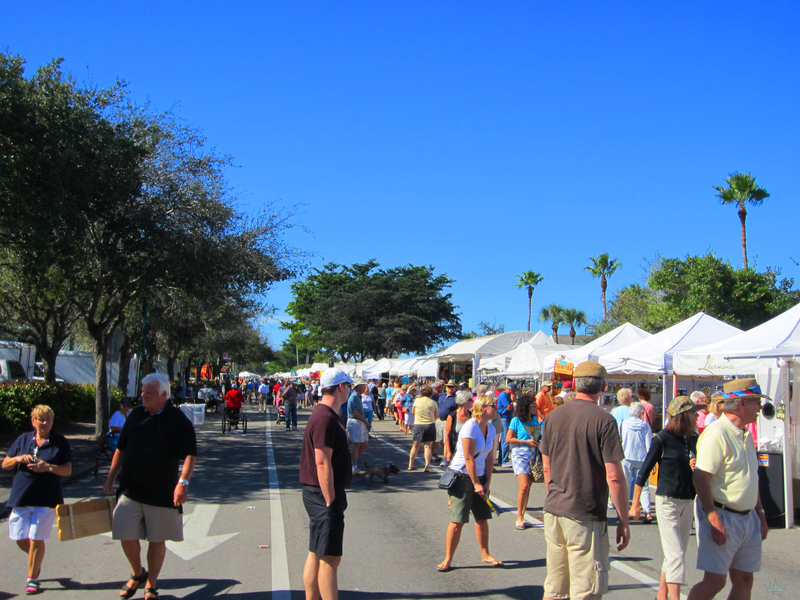 Word was, over 300 different artists had tents set up all along Cape Coral Parkway to Vincennes. The place was packed out. Of course, the first thing that caught my eye was the FOOD. Silly me, about an hour and a half before we arrived, I decided to make myself a lumberjack breakfast. So when I arrived, I wasn’t hungry at all. I coulda kicked myself. For me to attend a festival and not have at least one Bratwurst or Kabob of some kind is just sacrilege. Lots of tasty num nums lined both sides of the street. 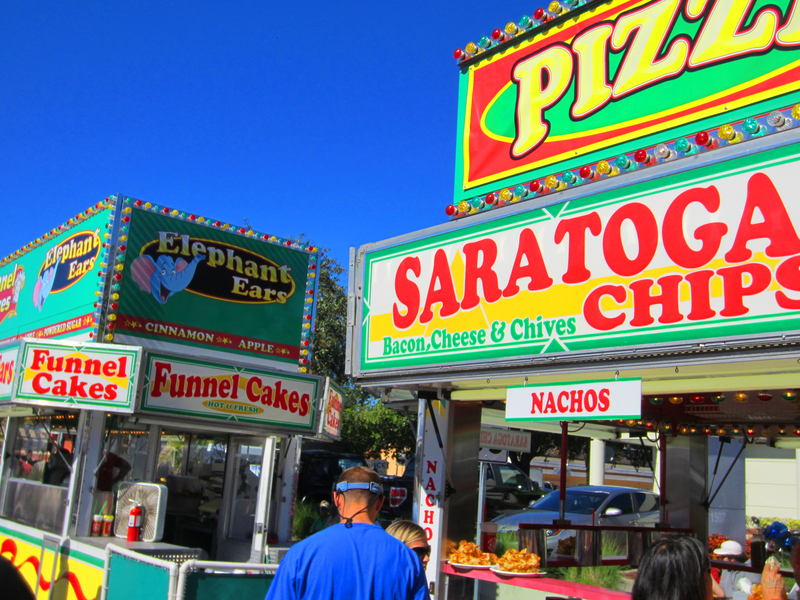 It was dreamland for dudes like me, who love to eat their way through a festival. 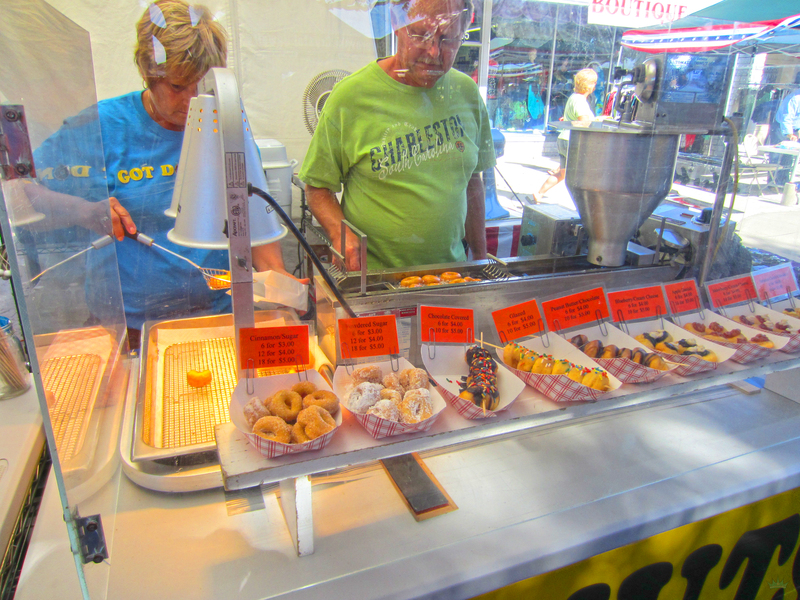 But we couldn’t resist when we saw the homemade donut booth. Yeah, we got some and yeah they were good. 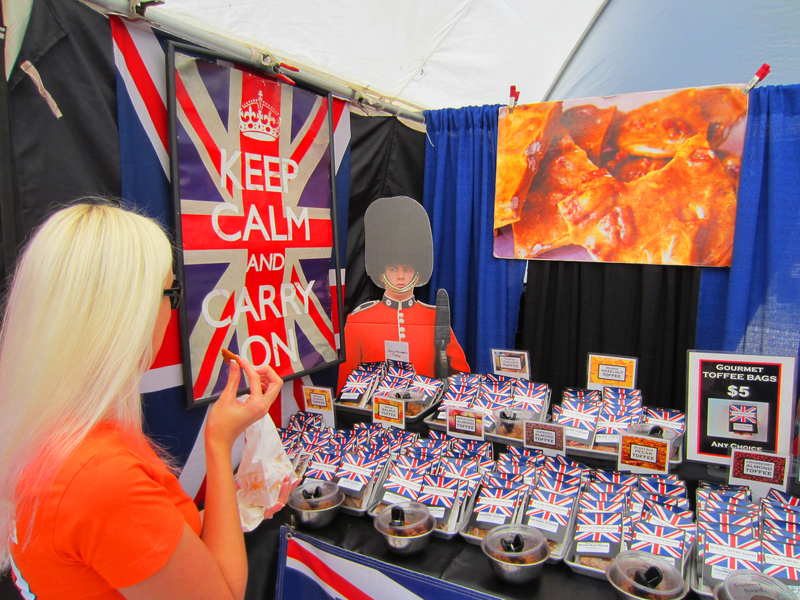 Homemade toffee, hot sauces, jellies, popcorn….the place was loaded. But the focal point of the festival and what really impressed me was the number of really talented artists who were boothed up to show their wares. 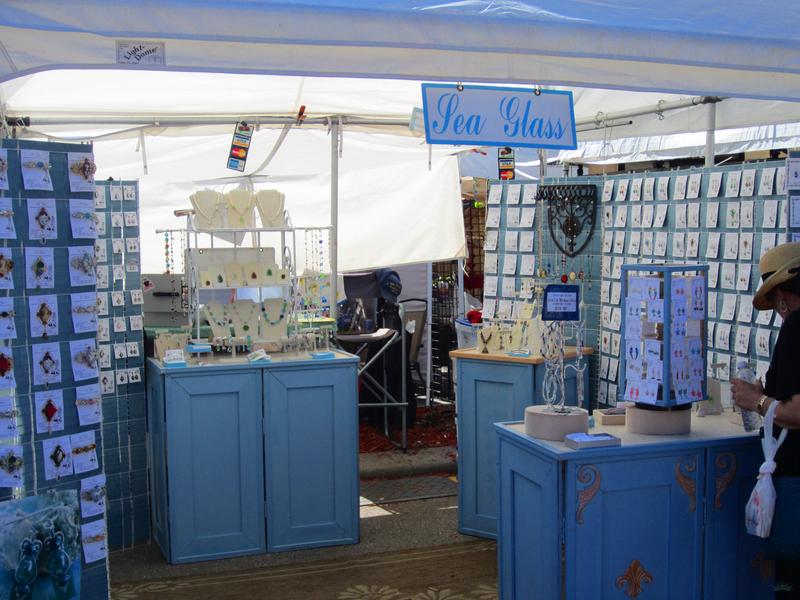 From jewelry made from sea glass to painted toilet seats with cats on them (I’m not joking), the place was crawling with a lot of talented people with some affordable arts and crafts. The drag was that the majority of the booths had signs forbidding picture taking. I respect that – folks didn’t want their original designs being out there for others to steal. But a bummer on our part, because there really was so much cool stuff that we would have loved to show you. 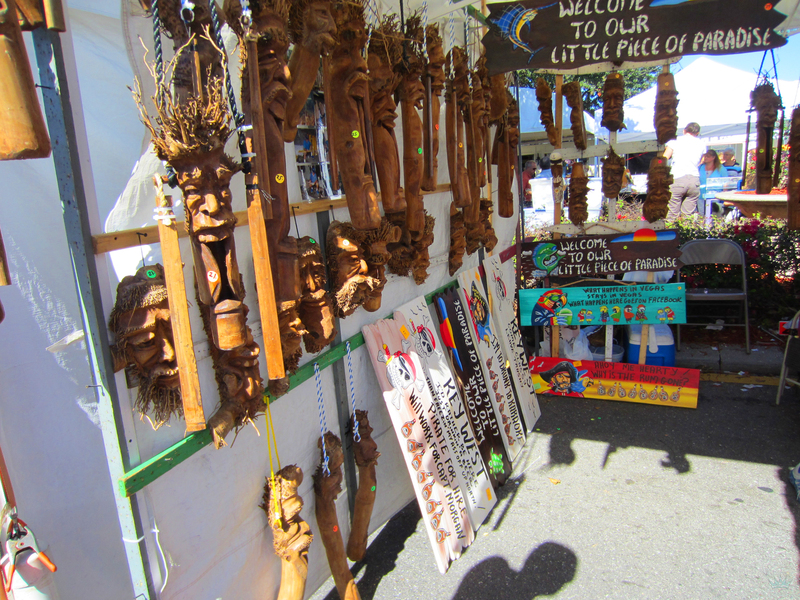 Like this booth with wind chimes hand carved out of drift wood. 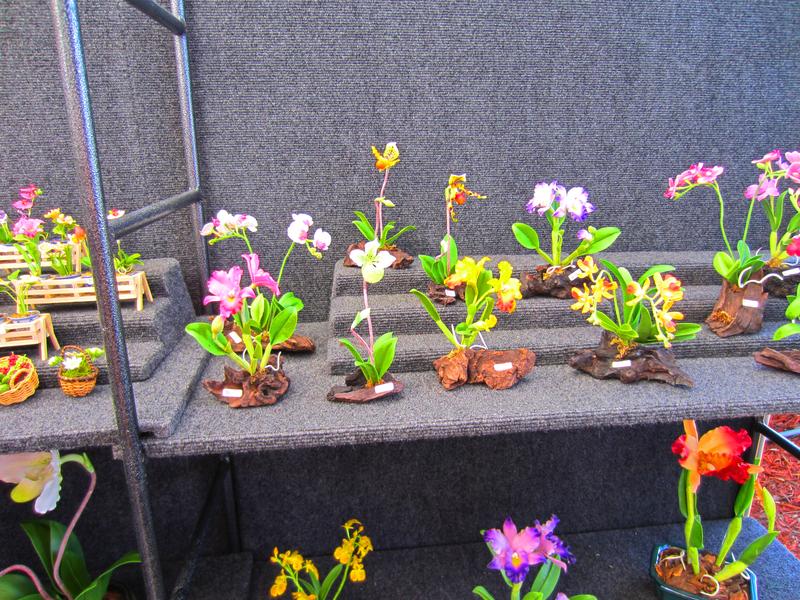 And this booth by a young lady who made flowers from clay and Play-Doh. 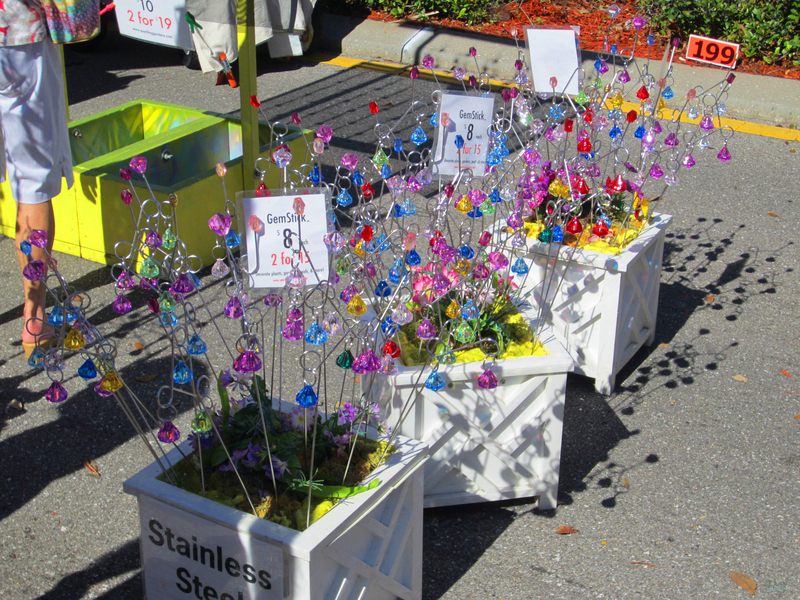 Very cool flowers, I might add. 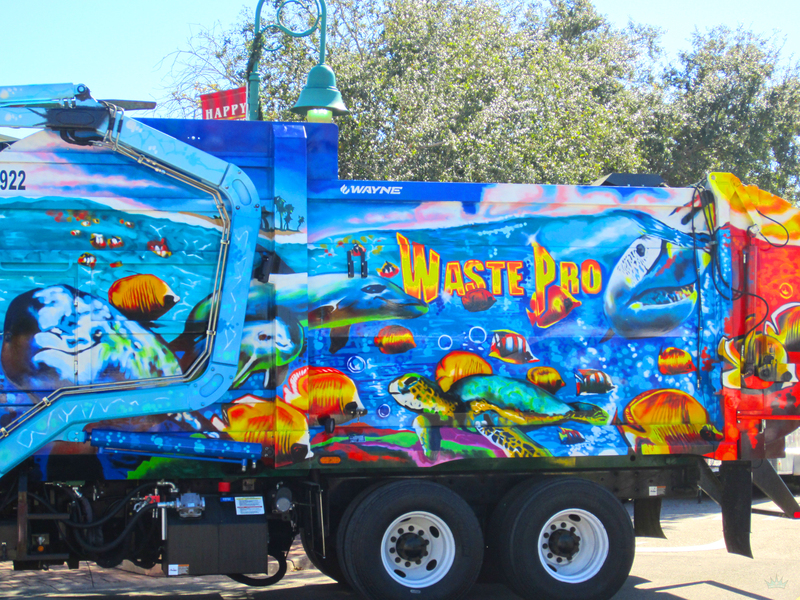 We had to get a picture of this tricked out trash truck. I’d drive it. We knew that this first stop would be very quick, short and compact, which is why we stayed close to home – just gettin the toes wet this month. We were able to move through the entire festival in pretty good time….Enough time to make it back home to watch Peyton Manning take his team to the AFC Championship. We have some GREAT stops planned for this tour and are looking forward to sharing each one with you. The Year of Fun starts now! Very proud of Queenie today. 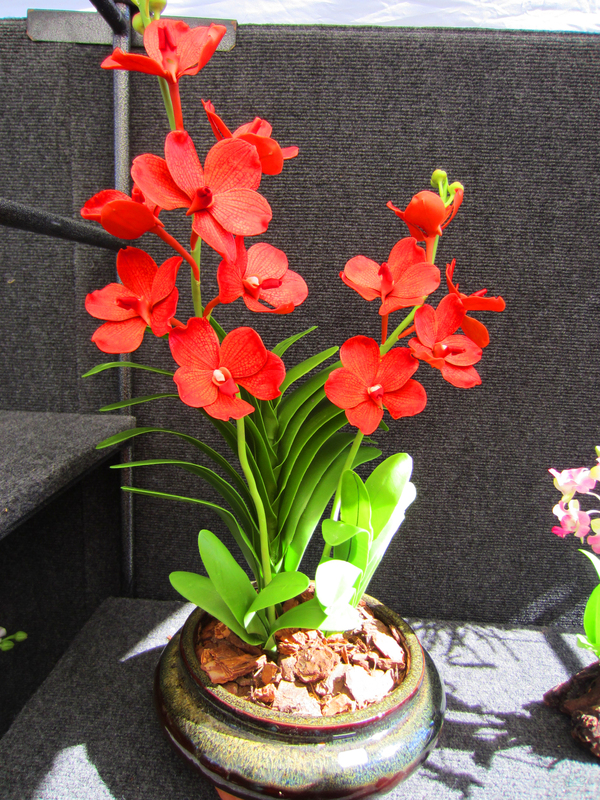 She was selected as this week’s photo winner over at Share a Little Sunshine. 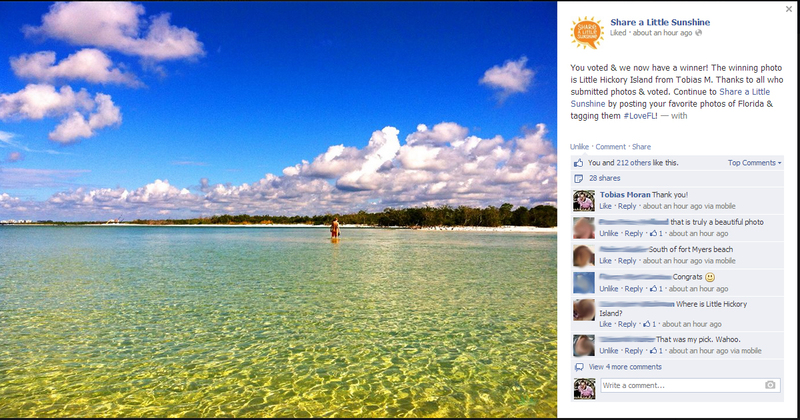 So for the next week, the photo she took of me at Little Hickory will be on the VisitFlorida Facebook and Twitter pages. I’ve very proud of her! 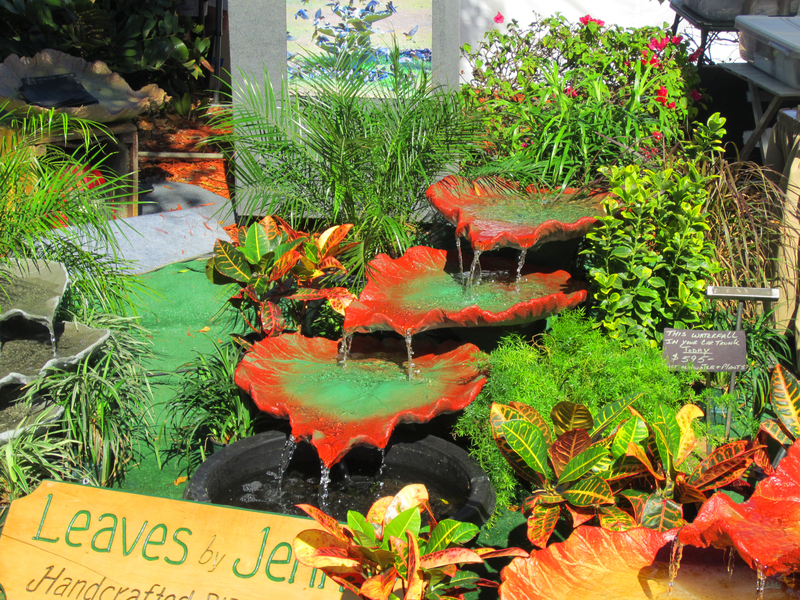 So stop by and like both Share a Little Sunshine and Visit Florida on Facebook. Tell em the Shell King sent ya.